Until now, we could only imagine the awesomeness that would ensue if KITT and Michael of Knight Rider, Cliff and Norm from Cheers and Sesame Street’s Big Bird starred in the same commercial. But behold—a TV fanatic’s crossover dream come true. BBDO brings this fantasy landscape to life in “Everywhere,” an immensely fun minute-long spot touting AT&T’s service that lets users stream live and recorded DirecTV content across their mobile devices without it counting against their data caps. Staged in grand style by director Tom Kuntz, who’s worked on DirecTV campaigns before—included the famous “Cable Effects” ads—the new spot fairly crackles with TV and film references, cool cameos and familiar music cues. 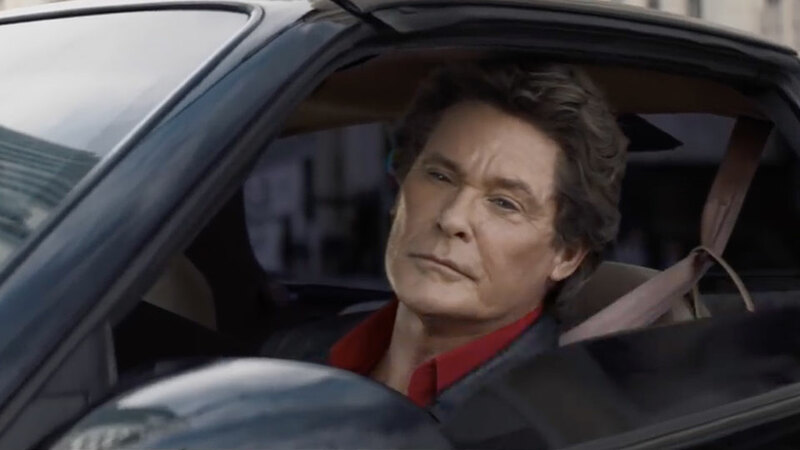 David Hasselhoff as Michael Knight, Cheers stars John Ratzenberger and George Wendt and costumed Big Bird actor Matt Vogel filmed new scenes for the ad. Alas, they don’t actually appear on screen together, but it’s fitting that each gets a few frames in the spotlight as the story unfolds. The spot smartly channels a basic giddy truth of media/pop-culture fandom. For many of us, elements of classic series and films—beloved scenes, infectious theme songs, snatches of dialogue and catchphrases—are constantly running through our minds. So, it’s only right that we should be able to watch our favorites whenever and wherever we choose. “David Hasselhoff literally flew in from Brussels on his day, turned into Michael Knight, shot, handed out ‘Don’t hassle the Hoff’ T-shirts to the crew, and then immediately flew back,” recalls Doug Fallon, also an ecd at BBDO New York.